Commercial Real Estate – Salmon, Lewis & Weldon P.L.C. The Commercial Real Estate group at Salmon, Lewis & Weldon has experienced attorneys assisting developers, lenders, landlords, tenants and business owners in virtually all aspects of real estate investment and transactions. We regularly assist clients in acquisitions and dispositions, due diligence matters, development issues and debt and mezzanine financing and refinancing for vacant land, condominiums, hotels, office buildings, shopping centers, golf courses, multi-family housing developments, industrial parks and other commercial projects. Our attorneys also frequently counsel clients in connection with retail, office, restaurant, commercial and ground leasing transactions and lease administration. Additionally, our clients have convenient access to other practice areas at Salmon, Lewis & Weldon, such as Water Rights and Natural Resources, Environmental Law and Commercial Litigation, to support their interrelated real estate needs. We have the strength to guide our clients through complex transactions with a team of talented professionals dedicated from the beginning to the end of each deal. At the same time, we are poised to handle more routine transactions in an efficient and time saving manner. Our attorneys apply their great depth of experience and unique problem solving capabilities to assist our clients through tough negotiations and obstacles that arise along the way. We explore and appreciate our clients’ goals, and we tailor our services for each transaction to meet their individual objectives. Our aim is to provide our clients with detailed, responsive legal services in an efficient manner with maximum value. Our Commercial Real Estate practice group has years of trusted and tested experience and insight in representing purchasers, sellers, developers and lenders in connection with the acquisition, disposition and development of unimproved and improved real estate. Our team plays an instrumental role in each transaction, beginning with purchase agreement negotiations and documentation, continuing through all aspects of due diligence and project feasibility (including reviewing and resolving title, survey, environmental, land use and related feasibility matters), and culminating with coordinating and marshalling closings. For large, multi-jurisdictional transactions, we are able to assign multiple members of our team to different components of the transaction to make certain that all aspects are addressed in an efficient and timely manner. Once our clients acquire projects, we also have extensive experience counseling them on development and land use issues, as well as on-going project management and operations. No transaction is too big or too small for our team. To further discuss your particular needs, please contact a member of our team listed to the left. We represent clients of all sizes and sophistication levels in retail, restaurant, office, industrial and ground leasing transactions throughout the United States to secure favorable terms and outcomes in all phases of the lease transaction. With a firm understanding of the industry and experience representing both sides of leasing transactions, we offer valuable insight on efficiently negotiating mutually acceptable solutions. Our team is prepared to tackle transactions ranging from leasing lifestyle shopping centers and office buildings, to representing tenants in connection with regional, national and international expansion plans, to representing landlords and tenants in one-off, local leasing transactions. When working on the initial occupancy of a new center, we assemble a dedicated team to assist our clients with a strategy to meet their specific goals. Often, we develop a standardized lease form tailored to our clients’ objectives, resulting in streamlined negotiations and lower overall transaction costs. We also frequently counsel clients through highly focused and challenging negotiations to protect their interests and minimize risks. Our attorneys also regularly assist clients with post- execution lease administration and portfolio management, bridging strong connections with property managers and development teams to ensure continued success for our clients’ commercial real estate projects. To further discuss your particular needs, please contact a member of our team listed to the left. With commercial real estate transactions becoming increasingly more sophisticated as financing opportunities have evolved, knowledgeable and experienced counsel is vital for long- term success. 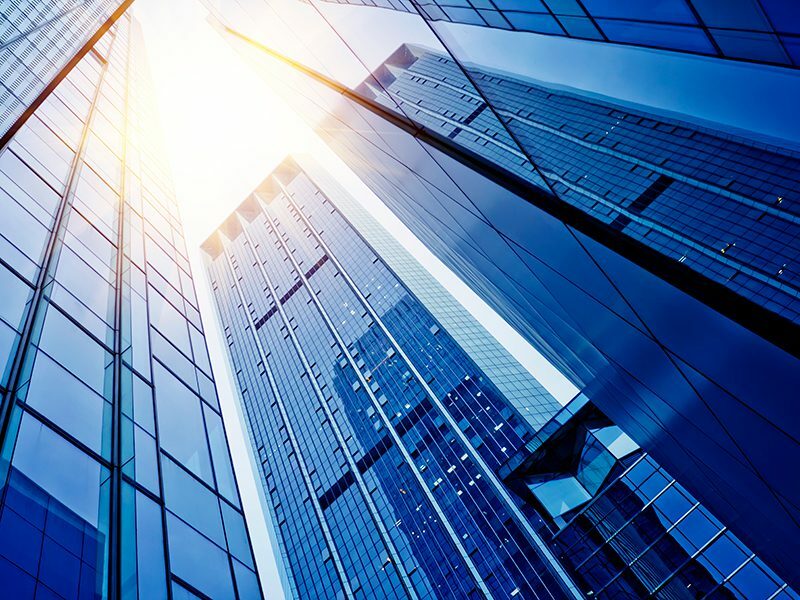 Our Commercial Real Estate practice group represents both lenders and borrowers on virtually all aspects of real estate financing and structuring, from traditional mortgage-based financing to alternative financing structures such as joint ventures and mezzanine loans in local, national and multi-jurisdictional transactions. We assist lenders with developing or revamping standard forms and procedures with the goal of efficiently and accurately documenting and closing financing transactions. We utilize our broad experience to assist borrowers with reviewing and negotiating financing terms and agreements, offering unique and cost- effective perspectives that can expedite the negotiation and closing process. Our attorneys have assisted clients in closing acquisition, construction and development loans as small as a few hundred thousand dollars to as large as tens of millions of dollars for nearly all types of property, including vacant land, office buildings, multi-family complexes, shopping centers, senior housing developments, power plants and industrial facilities. For further information on services that our team offers, please contact a member of our team listed to the left.